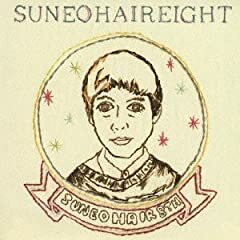 Suneohair - Universe スネオヘアー / ユニバース Album: 8 エイト Year: 2013 All rights reserved to Suneohair and his recording studio KING RECORDS. Esta es mi favorita del Cd Slow Dance!! :) !! Suneohair - Naroukaavu スネオヘアー / ナロウカーヴ Album: SUN!NEO!AIR! Year: 1999 All rights reserved to Suneohair.